Like most major universities, the University of Houston is comprised of several different colleges. These colleges are responsible for providing education and granting degrees in certain academic areas. 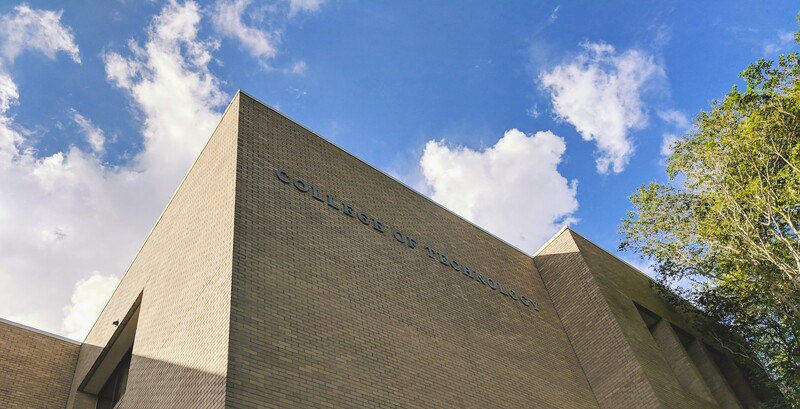 For more than 70 years, The College of Technology has inspired innovation and uniquely equipped industry leaders with broad engineering and technical knowledge, critical thinking, teamwork and computing skills. The college offers accredited bachelor's and master's degrees in wide-ranging disciplines from engineering technologies and biotechnology to consumer sciences, digital media, and human resource development. It also offers opportunities for upgrading professional skills and qualifications in many specializations such as construction management, Lean Six Sigma Greenbelt, logistics and project management. A strong partnership with industry provides students the experience of addressing real world issues. College of Technology students learn by participating in discovery, and working in teams on real-world projects to gain hands-on, practical learning experience and put theory into practice.